Here a quick back-post of hubby’s Valentines Day card. I love Cherry Cobbler and Basic Black together. 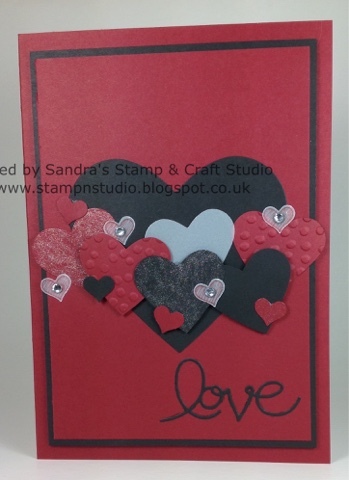 Here I’ve also used a couple of retired products with the Sweetheart punch #133786 and mini heart from Itty Bitty Accents Punch Pack #133787, adding a touch of Wink Of Stella #141897 to add a bit of glitz.